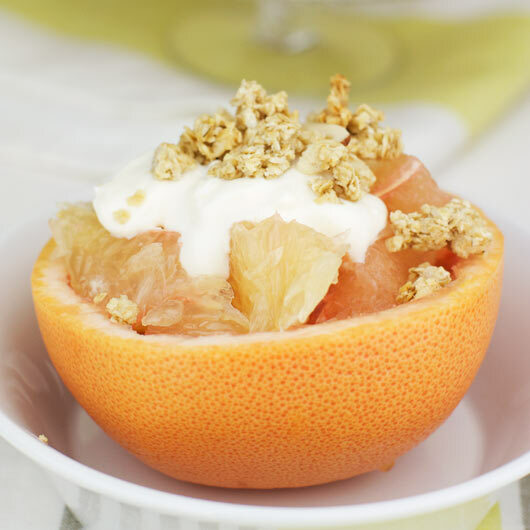 Arrange grapefruit sections in a shallow bowl or an individual salad plate. 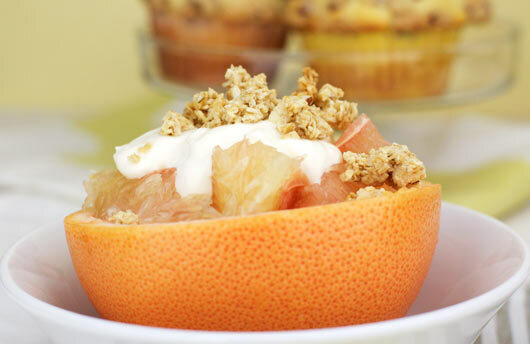 Or even better... put them back in the grapefruit shell and use that as a bowl. Top with yogurt. Sprinkle with granola. 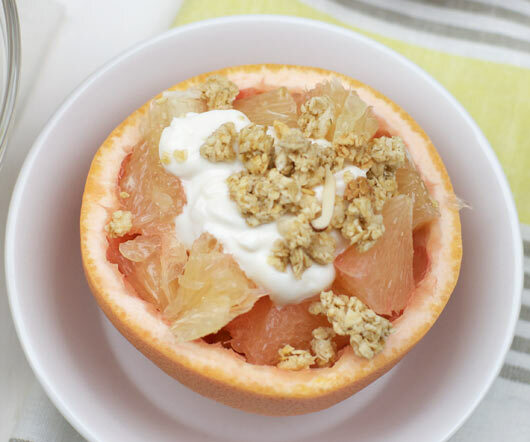 This is a simple way to add spark to a healthy breakfast of grapefruit. You can use your favorite flavor of yogurt to customize it to your tastes. Recipe number 210. Submitted 5/5/2002.